DESCRIPTION An elegant Broadview built home in the desirable community of Redstone. 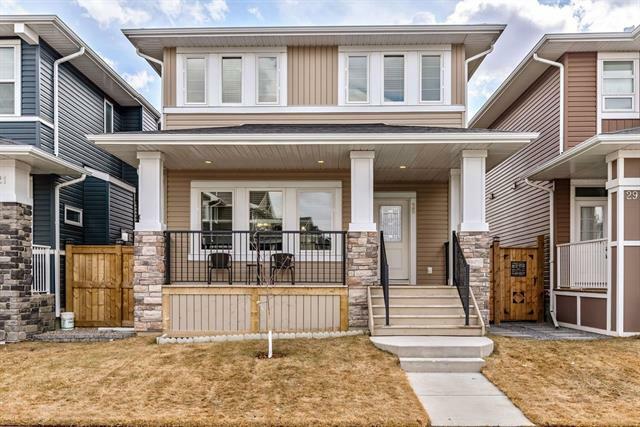 This home features gleaming oak hardwood flooring & has a formal spacious entrance way that leads to the gourmet kitchen w/white granite counter tops, large centre island, upgraded stainless steel Kitchen-aid appliances, soft close cupboards & walk through pantry w/tons of counter & storage space. The living room features soaring 18 ft ceilings, a real stone feature wall w/stone facing gas fireplace & oversized windows providing loads of natural light. Sliding doors off the dining area lead to the quiet, East facing backyard. Retire upstairs where you will find a large central bonus room, the laundry room and 3 large bedrooms including the master bedroom w/5 pc spa like ensuite. Tons of extras in this home. From customised blinds, memory foam underlined carpet, custom study off the entrance & upgraded lighting in the living room. Don’t miss this opportunity to live in one of Calgary’s premier communities. Call for your viewing today! Home for sale at 184 Redstone Pa Ne Calgary, Alberts T3N 0P6. 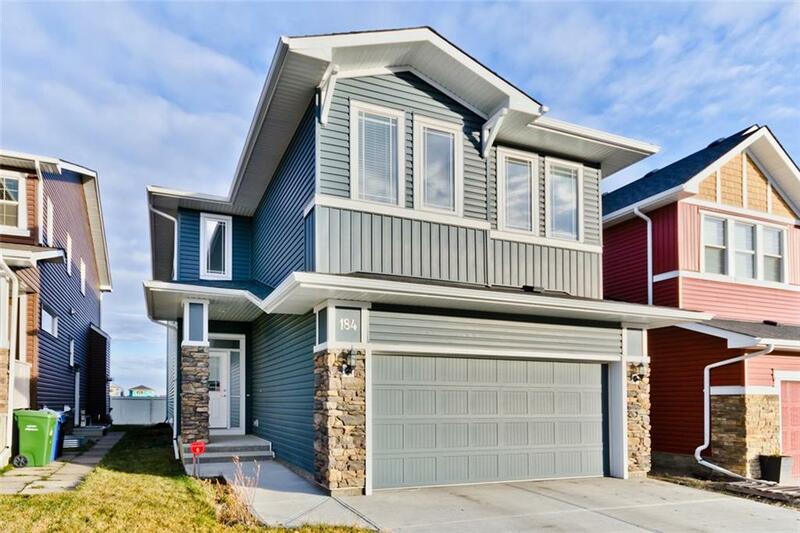 Description: The home at 184 Redstone Pa Ne Calgary, Alberta T3N 0P6 with the MLS® Number C4233263 is currently listed at $549,900.